Can cats eat eggs? And if they can, are eggs good for cats? Over time, eggs have suffered from significant PR problems. When I was a child in the ’70s and ’80s, eggs — or at least their yolks— were considered to be downright dangerous. Egg yolks contained cholesterol, which was linked to heart attacks. I grew up with Egg Beaters (essentially, egg whites with yellow food coloring). And when real eggs were served, we usually ate around the yolks. My father, being mindful of waste, did not want to throw away the yolks in such circumstances. Instead, they were fed to the cat over my vociferous objections. If egg yolks could cause heart attacks in humans, my young mind surmised, then surely they must be dangerous for cats as well. 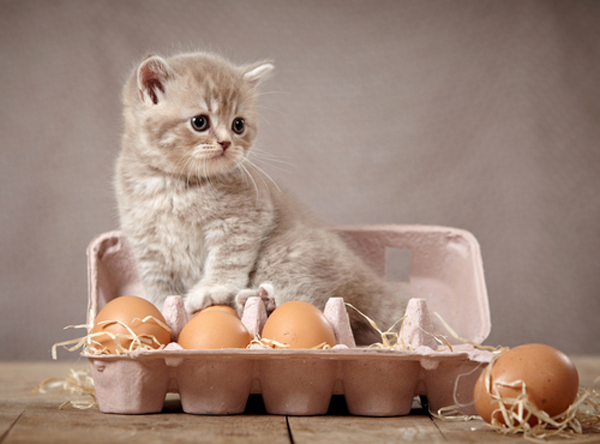 Can cats eat eggs, and are eggs good for cats? A kitten sitting in a carton of eggs. Photography by MaraZe / Shutterstock. Thank goodness for modern times! The cholesterol-causes-heart-attacks-in-humans myth still lives on in many circles. However, the most modern and objective research suggests that it is not dietary cholesterol that causes human heart disease. Rather, blood levels of “bad” cholesterol in people tend to go up when we eat too much (of anything and everything) and exercise too little. So, eggs, in general, are safe for people to eat. The same is true when examining the question “Can cats eat eggs?” For our feline companions, dietary cholesterol was never an issue at all. Those egg yolks did not harm the cat — the only harm done was to our family, who missed out on their deliciousness. In fact, whole egg is considered by nutritionists to be the most perfect source of protein for animals. So, for the record: Unless your cat is specifically allergic to eggs (and egg allergies are not common in cats), then it is safe for your cat to eat cooked eggs in moderation. Why should cats eat eggs in moderation? If the answer to “Can cats eat eggs?” is yes, why must they eat them in moderation? Although eggs are wonderfully nutritious, they do not contain complete and balanced nutrition for a cat. A cat fed nothing but eggs would be expected to develop significant dietary deficiencies. Cooked eggs fed as treats, as a supplement to cat food, or as part of a homemade diet that has been professionally tailored by a veterinary nutritionist, are fine. Can cats eat eggs that are raw? Merely mentioning the word raw will cause any seasoned Internet writer to wince. Raw food is the third rail of veterinary writing and blogging. One of my favorite foods in the world is steak tartare. This delightful dish is composed of seasoned raw chopped beef, topped with a raw quail egg. Merely thinking of the dish, with some French fries and washed down with a Kronenbourg 1664, makes me want to leave my office and head directly to the nearest French bistro. I am not afraid to eat raw food myself. I’m also not great about toeing the veterinary line when it comes to raw diets. Officially, I’m supposed to be opposed to feeding raw because of the potential for zoonotic bacterial infections. Cooking kills bacteria. Raw foods therefore are more likely to contain bacteria. 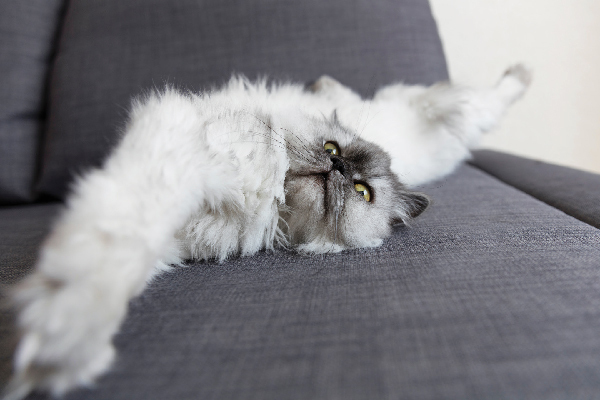 Those bacteria, such as Salmonella, E. coli and Campylobacter, can infect cats, and can then spread to people. Don’t pooh-pooh the notion. I have met several clients who confided that they contracted such infections in such a manner. However, if you know and accept the risks and you wish to feed raw food to your pet, then that is your business. There are an awful lot of cats who are doing very well on raw diets. Raw eggs, however, are special — sort of. Yes, they can contain bacteria. But egg whites also contain a protein called avidin, which binds biotin (also known as vitamin B7). Overconsumption of avidin could cause biotin deficiency. Cooking denatures the avidin. Therefore, it is recommended that cats consume only cooked eggs. So, can cats eat eggs raw? Let’s be honest and realistic: A cat would have to eat a LOT of raw egg, probably over a period of months or years, for such a deficiency to develop. Are raw eggs really that bad? Probably not. So, can cats eat eggs? And are eggs good for cats? The bottom line. So, in my opinion, the answers to “Can cats eat eggs?” and “Are eggs good for cats?” are that eggs are good for cats in moderation. Period. They taste good, they are nutritious, they are healthy for people and they are safe for cats. But let me end with a note about moderation. If you think that feeding your cat an egg a day is moderation, then think again. One egg per day in a 10-pound cat translates roughly to 15 eggs a day in an average-sized adult human. When one does more precise calculations, considering our differing metabolic rates, one egg for a cat translates to around eight eggs for a person. That, in my opinion, is not moderation. Thumbnail: Photography by Anneka / Shutterstock. Plus, check out the latest are eggs good for you or are eggs bad for you arguments for humans. I think the cat can eat fried egg. I’m arguing on another site about giving our furry children people food. My veterinarian for 27 years said animals do not have the same digestive system that we do, so why are people feeding chicken, eggs, vegetables and raw meat? I haven’t spoken to my veterinarian yet. I will do as he says. By “people food”, your vet means food that has been prepared and/or processed for human consumption. Ingredients such as chicken and eggs are not people food by nature. They are only bad for cats if they are fed in excess, or if those food items have been prepared with salt and other additives. Feeding a colony of ferals, with cheap eggs at 77 cents a dozen this weekend think 1 scrambled egg a day for the 4 cats is an inexpensive way to supplement my dry food. Hopefully your vet has a proper education on appropriate breed specific nutrition and doesn’t push commercial brands or any more than one vaccination for anything in the absence of titer testing. Otherwise your pets may wind up being part of the 10 million pet who are diagnosed this year with cancer. I like getting your emails and the information is helpful BUT. If you write an article about a food that can or can’t kill my cat, then I want the answer at the top of the page, at the beginning of the article, so I know FOR CERTAIN that yes, this is dangerous, or no, she can eat it. THEN AND ONLY THEN WILL I READ THE ARTICLE. DO NOT force me to read a lot of irrelevant, anecdotal information that leaves me wondering if eggs are or are not safe to eat. SAY IT CLEARLY AND WRITE THE ANSWER IMMEDIATELY. Then you can give me the backstory and historical context. Or I’ll block you. Ugghhh, I disagree with you. I enjoy the process of READING. Who wants to peruse dry facts. I don’t . Keep up the creative writing Dr. Barchas and other Catster writers. Most of us appreciate what you do and how you do it. Half a second of scrolling (maybe not even that) and you find the answer – easy. If you’re too thick to be able to figure that out then you’re definitely too thick to be in charge of caring for a cat. Also, lol @ getting mad at the author of the article because *you* couldn’t figure this out. Thank you for your feedback. 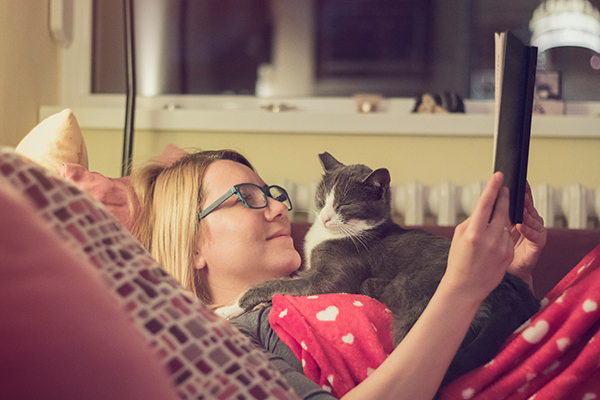 At Catster, we try and share articles with our readers that provide as much relevant information as possible. 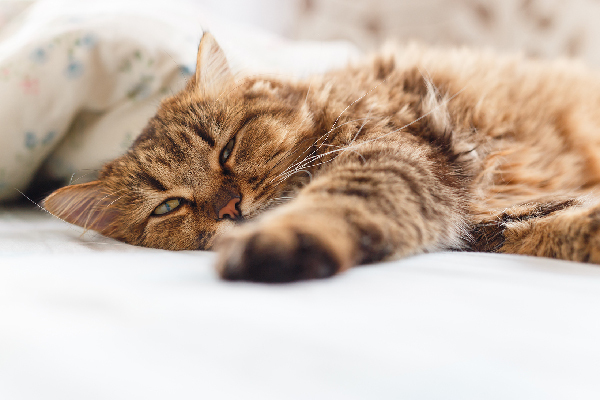 In reading the article, it states, “unless your cat is specifically allergic to eggs (and egg allergies are not common in cats), then it is safe for your cat to eat cooked eggs in moderation.” We hope this provides a clear answer. Lisa Roscoe, your comments were very rude and completely inappropriate. This information is given to us as a service and you want to yell and demand the writer change her writing method to suit you. I have no doubt if the information is put at the top of the article you would not read the entire article and miss out on other important information that may be helpful. You may need to sit in the corner for a “time out”, as you sound like an immature spoiled child. Please try being more considerate of the writer and others on the site in the future. Thank you. I totally agree with you! !, Lisa Roscoe expresses herself as an spoiled child, she definitely should be in “time out”. My ASPCA Cat Manual (printed 2000) says that an occasional lightly scrambled egg (don’t add milk or butter; use water) can be a good source of protein especially if your cat is ill, or a picky eater. I had one cat who loved to share a scrambled egg now and them. She was born with a heart defect, so any and all protein was good! Long before the first humans started to interfere with nature, cats were happily eating eggs. There were no doubt smarty cats that had figured out that breaking an egg releases a yummy meal. I read for / and still don’t know the answer to a good question. Here is another one! Time Out!!! Here is another one! Time Out!! Thanks for reaching out! We suggest asking your vet for advice on this specific question. 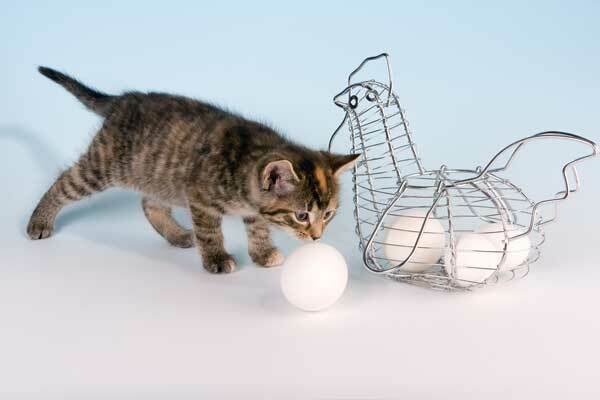 Pingback:Can Cats Eat Eggs & Egg Yolks? Left Raw? Cooked Scrambled? Hard Boiled? And cats cannot convert cysteine into taurine. So eggs are not a good source of taurine for cats. The chemical formula for Biotin is ‎C10H16N2O3S, which is water-soluble B vitamin, also called vitamin B7 and formerly known as vitamin H or coenzyme R.
Dr Eric suggests Egg Yolk in moderation, is good for cat. It is egg whites (the developing chickens) which contain methionine and cysteine. The “bad guy” is therefore the egg white, not the egg yellow. A 100-gram portion of raw whole egg contains 0.38 grams of methionine and 0.27 grams of cysteine. 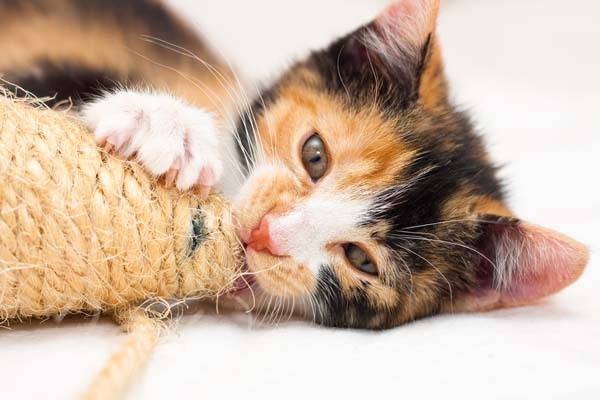 Egg yolk is not a source of the amino acid, taurine, however, which is especially important for cats, as taurine deficiency has been linked to dilated cardiomyopathy, which is a potentially fatal condition for them. But the cysteine also blocks the natural synthesis of B7 in cat. That is so sad ???? I had to laugh when I read “don’t pooh-pooh the notion” of getting Salmonella. I had it in high school. I never knew a person could (to use your term) pooh-pooh that much. I thought I was going to die. The kid across the hall from me in the hospital did. It is a very serious thing. In that case it came from contaminated cream pie, but I don’t think I’ll feed our cats anything raw!